Quantum Geographical Information System is a open source platform for viewing, editing, managing and analysis of spatial data with various features which makes your analysis better. As we need word processor to deal with words similar to this for spatial information we require GIS application. 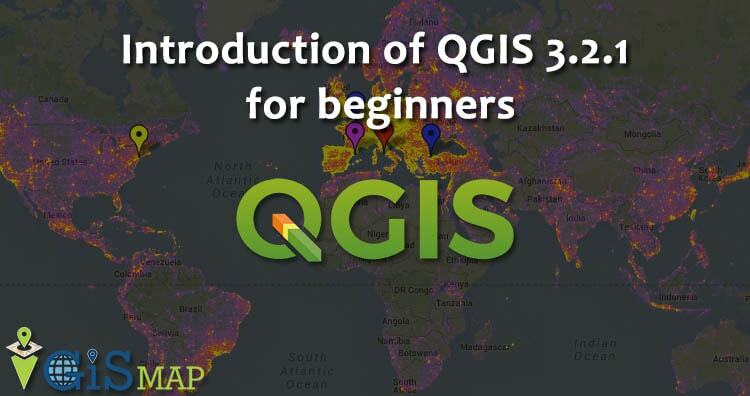 In this blog I am providing Introduction of QGIS 3.2.1 for beginners. QGIS 3.2.1 ‘Bonn’ is released on 20 July 2018. With the help of QGIS you can also create Interactive Web Map. QGIS supports both flavours of GIS datasets i.e Vector data formats and Raster data formats. Main area of QGIS is called as canvas. Likewise other GIS applications toolbars, panels, status bar and menu bar is also. Lets start its study in brief. In the above image 1 number is showing main menu bar. You can access almost everything of QGIS from main menu. You can use various features and functions of the QGIS menu style. The Main Menu cannot be moved unlike the toolbars and panels. Toolbars have buttons that provide a one click access (i.e. shortcuts) to many of the features and functions found in the Main Menu. Toolbars are movable and free floating. It provides a list of files on your computer. You can drag and drop GIS files into the Layers Panels to view them. This panel is movable and can be hidden/shown on the GUI. We can display it by right click at tool bar and choose the panels you want to use. This panel shows map layers that are in your current project. Layers can be turned on/off, clubbed , change drawing order, etc. Extract or Select features in Layer. It display all the relevant information about the current project. It shows the current scale of the map display, coordinates of the current mouse cursor position,and the coordinate reference system (CRS) of the project. 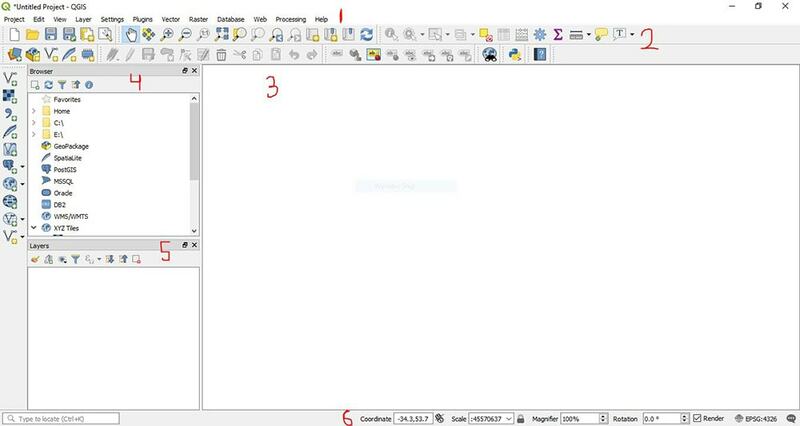 Now, you get familiar with QGIS interface, how it works, what is the need. Hope this post is beneficial for amateur GIS professional. If you face any problem in downloading QGIS and in using QGIS 3.2.1 desktop drop you comments. Any suggestions are welcome. 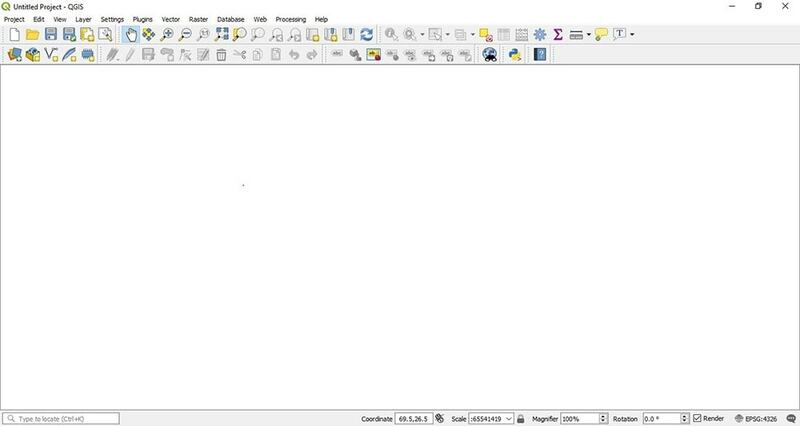 Bagaimana cara menyimpan layer dalam format SHP pada QGis Bonn? Sya sdkit bingung krena menu Save As pada QGis versi sebelumnya tidak ada. Mohon penjelasan.